The photo id for this photograph is 773, in the Whaley Bridge A-K album. The photos are dated 1922 , when the old chimney was found to be 4 ft 6inch out of vertical . 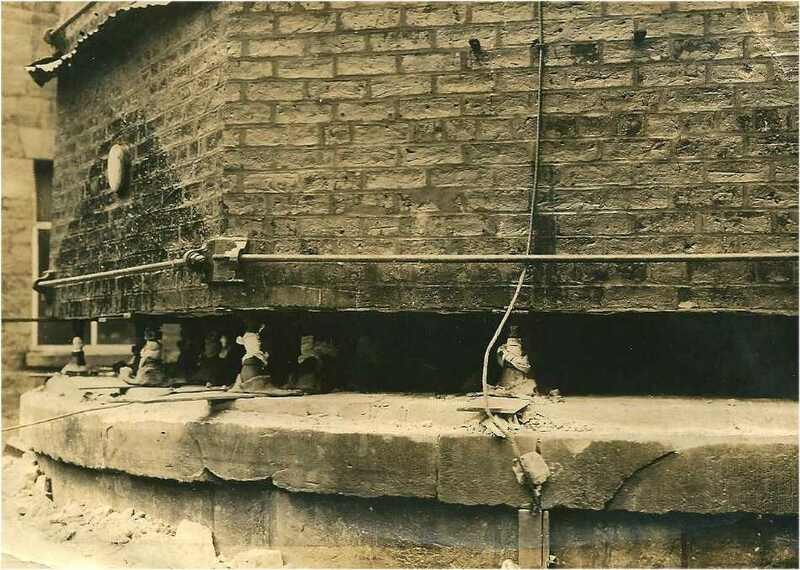 Bricks from the south side were removed and replaced by screw jacks , these were then lowered by small amounts each day for a week , on measurement it was then found to be only 7 inches out of vertical ! Did you get this information from the R O Collins document about Bingswood Works?